Lanes are blocked going both ways on the highway. 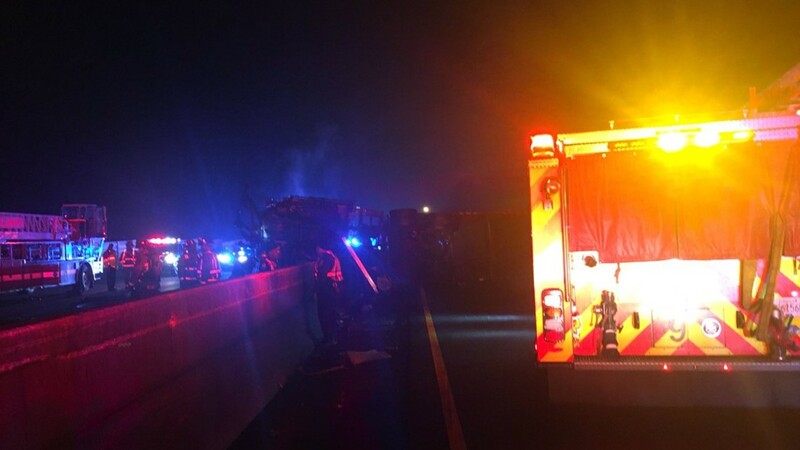 ATLANTA — Police say one person is dead after a fiery accident on I-20 that has lanes blocked in both directions. The accident happened late Thursday evening near the intersection of Fulton Industrial Boulevard. 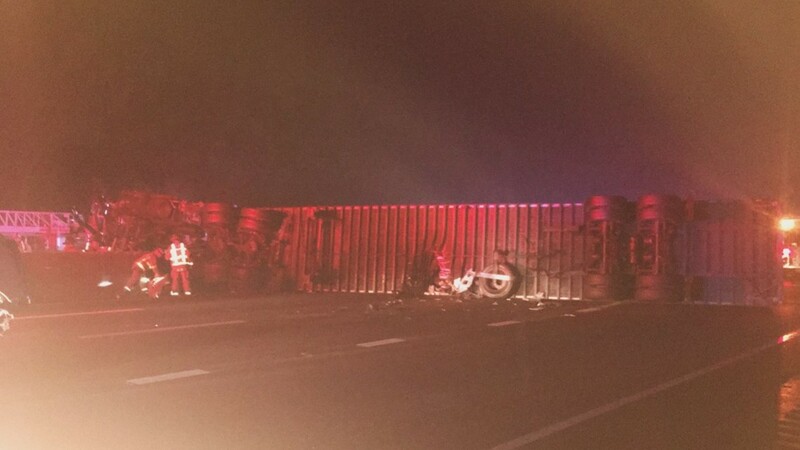 Fire officials confirm a tractor-trailer flipped over the wall. The trailer's contents are not yet known. Police said one other person was also injured in the crash. 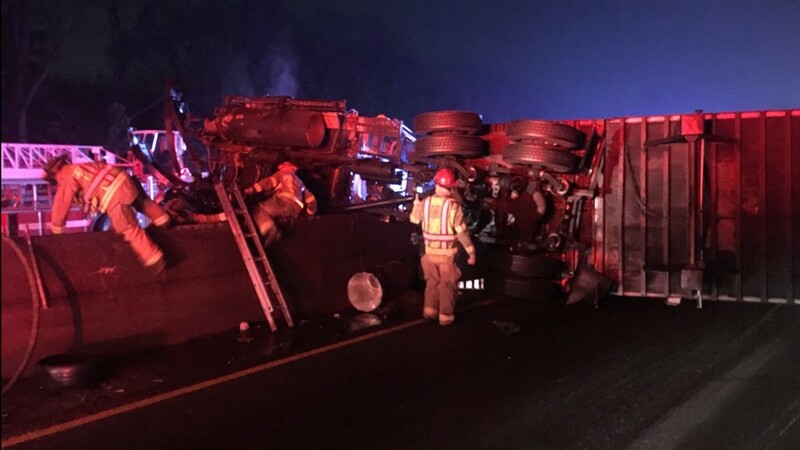 Drivers in the area should seek alternate routes if traveling on I-20 on the west side of Atlanta, since the crash may not clear before 10 p.m. As of 8:30 p.m., only one lane was open for westbound traffic and none were open for those heading east. Check 11Alive.com/traffic for alternate routes. 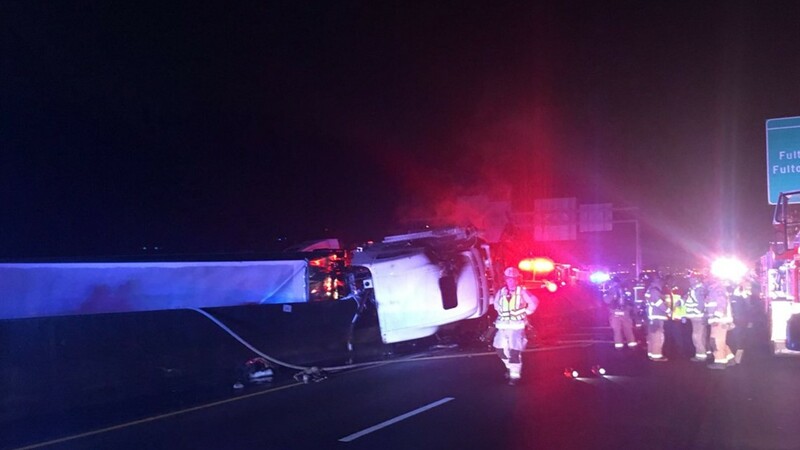 One person was killed and at least one person injured in a crash that happened on I-20 late Thursday night near Fulton Industrial Boulevard.